This observatory is an important offshore site close to Mount Etna, where the Italian SN-1 multidisciplinary observatory recently completed its first 6 month mission. 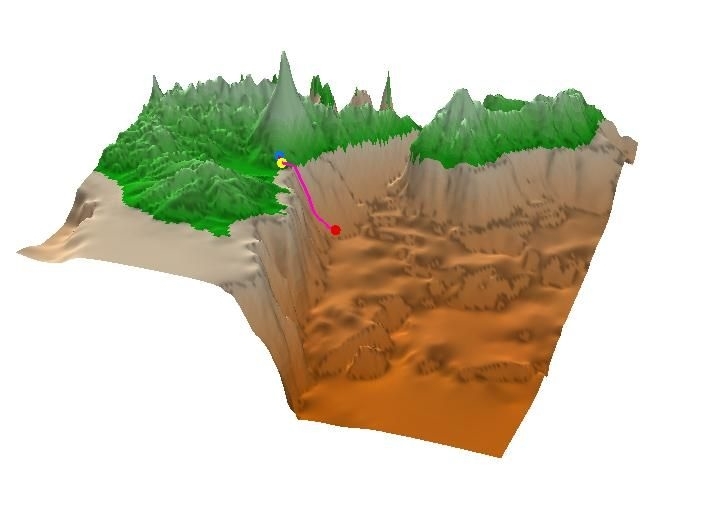 The existing cable for NEMO neutrino experiment provides a focus for real-time data transfer and the integration of the seafloor observatory into land-based networks. Presently, the SN1 seafloor observatory, managed by INGV, is connected to the Shore Station by means of an electro optical cable. The station SN1, equipped with a wide set of geophysical and oceanographic sensors, represents the first operative node of ESONET, and it is now transmitting data in real time to the National Seismological Service Centre, in Rome, managed by INGV. Thus stations of this site represent a first operative step in the direction of a multidisciplinary laboratory. 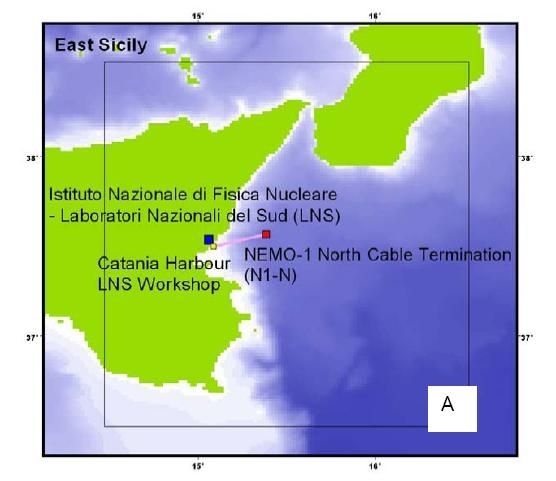 Improvement of the NEMO-SN1 Test Site is awaited to define a multidisciplinary underwater laboratory (in the context of LAMS Project). An additional project, PEGASO, has started in December 2005 and is mainly devoted to enhance the Test-site logistics and service capability to operate and maintain the NEMO Pilot Experiment and the seafloor stations. Lastly, availability of marine and land infrastructures and geo-hazards motivations make the site suitable to host for validation prototypes of Tsunamis Early Warning Systems (TEWS).